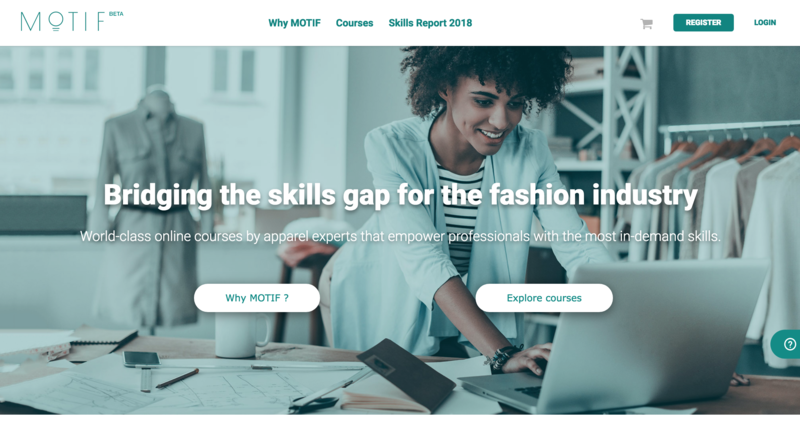 New York - October 31st, 2018 - Global fashion innovations company Alvanon is set to launch MOTIF, a unique apparel knowledge and continual e-learning hub that will help solve the skills’ gap within the global apparel industry. Alvanon’s motif.org platform will give apparel industry practitioners online access to training, professional development and mentorship from the industry’s most successful and seasoned professionals. MOTIF will initially launch with four interactive courses from three course publishers, including Alvanon, Textile and Fashion Industry Training Centre (TAF.tc) and Pratt’s Brooklyn Fashion + Design Accelerator (Pratt BF+DA). Initial courses on offer are Apparel Costing; Mechanics of Fit; Sustainability in Fashion; and The Fit Form: A Critical Standard for Product Development. Users will be able to complete the courses at their own pace with on-demand videos, interactive exercises and assessments. Future courses will cover topics such as 3D, Sizing, Textiles and Product Development and the course publisher list will quickly expand to include subject matter experts from around the globe. MOTIF also plans to partner with universities and associations as it grows. “MOTIF’s mission is to empower industry professionals with critical skills to readily apply in their job and to further their careers, as well as helps apparel organizations with onboarding and upskilling training materials and assessment tools suitable for new and old employees. We are tackling a critical industry need that surfaced in our 2018 State of Skills Report,” explained Catherine Cole, Executive Director, MOTIF. Alvanon enlisted the support of 50 companies, from large brands to specialist players across the fashion supply chain, on their beta platform to test MOTIF courses and the user-learning experience. The end-user feedback was leveraged to fine-tune the design of the motif.org learning environment. Alvanon invites apparel companies and fashion professionals to register and start exploring the optimized online MOTIF courses.